This year, Epicor delivered its second Global Growth Index and discovered that around the globe, manufacturing businesses are showing healthy signs of growth. Scott Hays looks at three things the research highlighted about business growth in manufacturing. When compared to last year’s performance, growth is up 3.7% year-on-year according to our Global Growth Index. Growth rates have been impressive – with the proportion of businesses that have reported an increase in their sales/turnover up 5%, and with 3% more businesses experiencing profit growth, as well as product range growth, compared with last year. But it’s not all been smooth sailing. 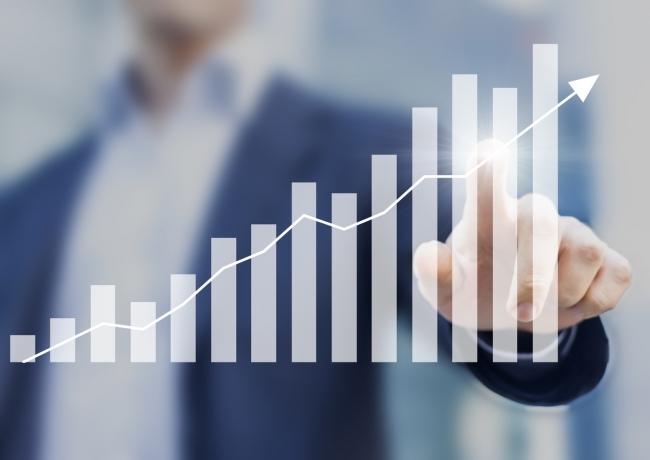 Here are three things that we, at Epicor, have learned about business growth from the Index. Considering these points will help you plan and get fit for growth during the next 12 months and beyond. 1 – Business growth is not out of your control. This year we have seen a strong sentiment that businesses are likely to feel growth is a fate within their control—only 52% blame macro and economic factors such as market conditions for limiting growth, leaving almost half of businesses to agree that overall, business growth can be influenced by having a solid strategy and the correct resources in place. Which half are you in? 2 – Still, it doesn’t come easy. Businesses have faced some significant hurdles in the last 12 months, with almost half (45%) agreeing growth has been challenging and a quarter (23%) saying it’s been stressful. However, where challenges do strike, around half of businesses believe that better planning and better technology (46% each) will help them overcome obstacles to growth. Where does better planning and better technology factor into your strategy? 3 – There’s proof that prioritising technology will help you grow. Overall, over a third (36%) of all businesses agree that investment in IT is a high priority. But interestingly, the prioritisation of technology investment between high and weak growth companies differs starkly—the figure rises to 57% among those experiencing strong growth, but drops to just 20% among companies with weak growth. The Global Growth Index results indicate that those who consider technology investment critical to their strategic growth are reaping the benefits. What emerging technologies have the most potential to drive growth in your business? Technology is, after all, crucial to business growth in the manufacturing sector because it provides leaders with vital insight into their business operations, enabling them to make better decisions faster. Technology can also automate otherwise manual tasks, freeing up valuable employee time—something that’s of value to a growing company with a stretched workforce.